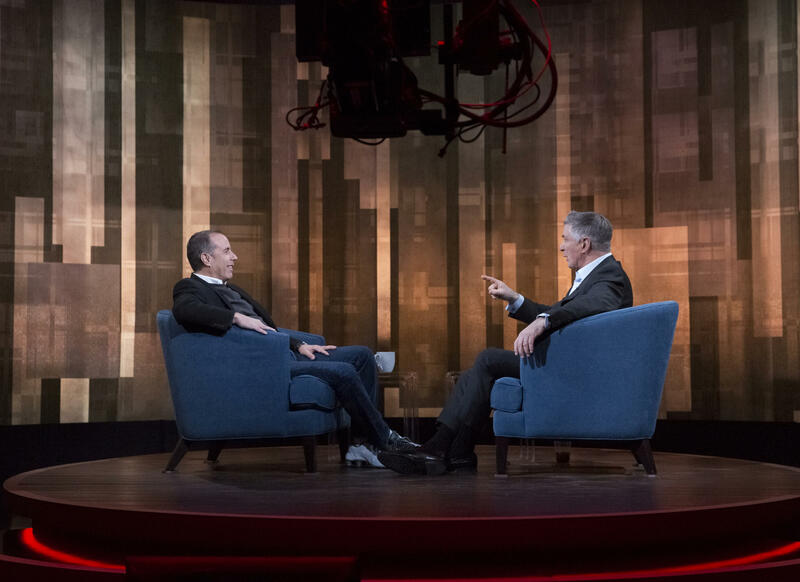 Alec Baldwin interviewed Jerry Seinfeld on a spring try-out for the "Alec Baldwin Show" on ABC. Among the cancellations were Kiefer Sutherland's "Designated Survivor" and "Quantico." 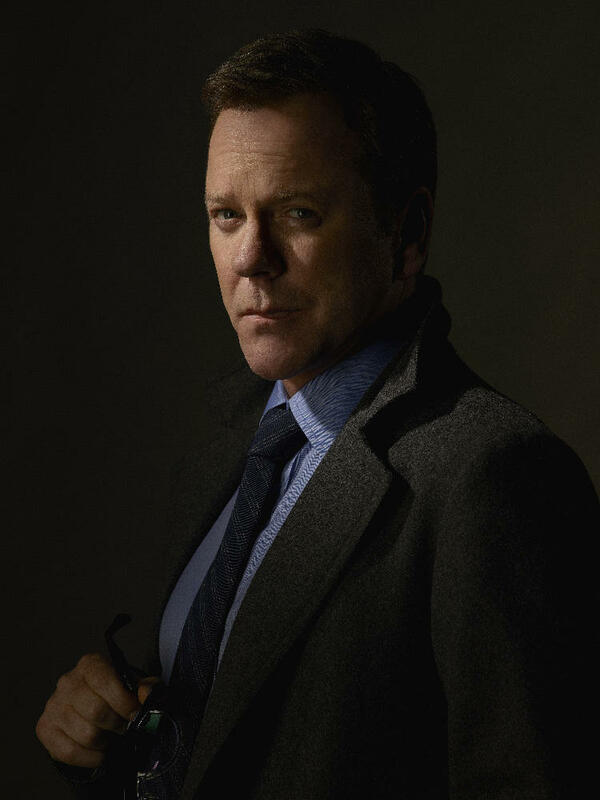 Kiefer Sutherland starred in ABC's "Designated Survivor." After airing "Dancing with the Stars: Athletes" this month, the network will launch its fall lineup with "Dancing with the Stars: Juniors" at 8 p.m. Sundays in September. The "Alec Baldwin Show" will air 10 p.m. Sundays. ABC says "Dancing with the Stars: Juniors" will "pair celebrity kids with professional junior ballroom dancers to perform choreographed routines, which will be judged by a panel that will include renowned ballroom experts." "The Kids Are Alright," a comedy about an Irish-Catholic family in the 1970s, will air 8:30 p.m. Tuesdays, following "Roseanne." The pilot episode was directed and executive produced by Finneytown native Randall Einhorn. "Single Parents," starring "Saturday Night Live" alum Taran Killam, will air on Wednesdays. The lone drama is "A Million Little Things," about a group of Boston friends, at 10 p.m. Wednesday. Midseason shows include a legal drama called "The Fix," by former Los Angeles prosecutor Marcia Clark; "Grand Hotel," set in Miami Beach and executive produced by Eva Longoria; Nathan Fillion ("Castle") as "The Rookie" in the Los Angeles Police Department; and "Schooled," a spin-off from "The Goldbergs" set in a 1990s high school with Tim Meadows. 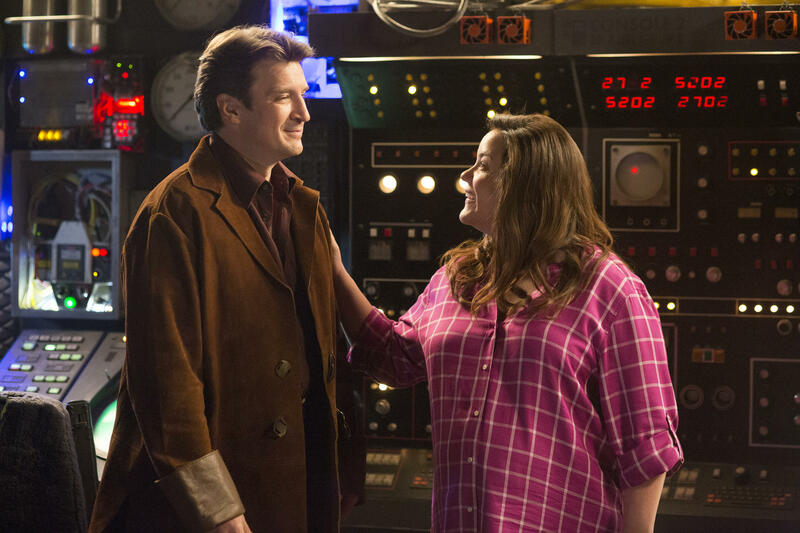 Former "Castle" star Nathan Fillion was a guest on Katy Mixon's "American Housewife" May 9. GONERS: "Designated Survivor," "The Middle" (series finale May 22), "Quantico," "Alex, Inc.," "Scandal," "Inhumans," "Kevin (Probably) Saves The World," "Once Upon A Time," "Ten Days in the Valley," "The Mayor" and "The Crossing." RENEWED: "American Idol," "American Housewife," "The $100,000 Pyramid," "America’s Funniest Home Videos," "black-ish," "The Bachelor," "Celebrity Family Feud," "Child Support," "Dancing with the Stars," "Fresh Off The Boat," "For the People," "The Goldbergs," "The Gong Show," "The Good Doctor," "Grey's Anatomy," "How To Get Away With Murder," "iZombie," "Marvel's Agents of S.H.I.E.LD.," "Match Game," "Modern Family," "Roseanne," "Shark Tank," "Speechless," "Splitting Up Together" and "Station 19." SUNDAY: 7 p.m., "America's Funniest Home Videos;" 8 p.m., "Dancing with the Stars: Juniors;" 9 p.m., "Shark Tank;" 10 p.m., "Alec Baldwin Show." MONDAY: 8 p.m., "Dancing with the Stars;" 10 p.m., "The Good Doctor." TUESDAY: 8 p.m., "Roseanne;" 8:30 p.m., "The Kids Are Alright;" 9 p.m., "black-ish;" 9:30 p.m., "Splitting Up Together." WEDNESDAY: 8 p.m., "The Goldbergs;" 8:30 p.m., "American Housewife;" 9 p.m., "Modern Family;" 9:30 p.m., "Single Parents;" 10 p.m., "A Million Little Things." THURSDAY: 8 p.m., "Grey's Anatomy;" 9 p.m., "Station 19;" 10 p.m., "How To Get Away With Murder." FRIDAY: 8 p.m., "Fresh Off The Boat;" 8:30 p.m., "Speechless;" 9 p.m., "Child Support;" 10 p.m., "20/20." CBS announces its fall lineup Wednesday. 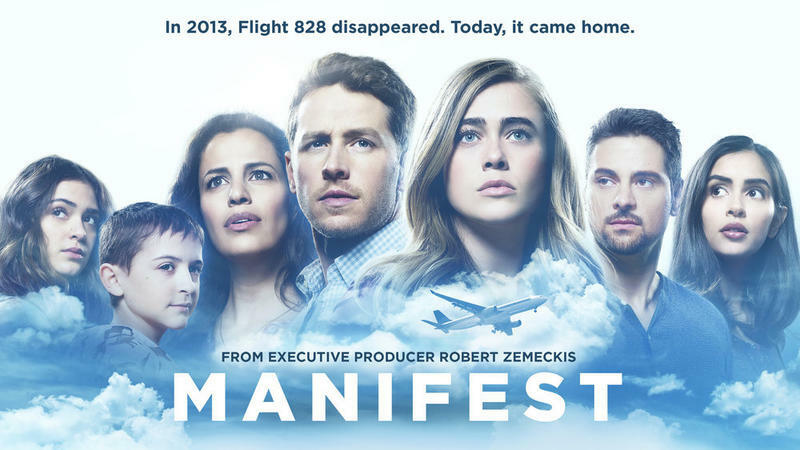 Here's a link to my story about the broadcast networks' fall TV announcements coming this week, and a list of canceled/renewed shows so far. Fox programmers are going with a conservative game plan this fall with the addition of Thursday night NFL games. Fox will add just two new comedies, plus revive Tim Allen's "Last Man Standing," canceled a year ago by ABC.